Truffle oil is a finishing oil not a cooking oil. Truffle oil is created when truffles are soaked in olive oil. It is used to enhance foods by adding it to them after preparation. 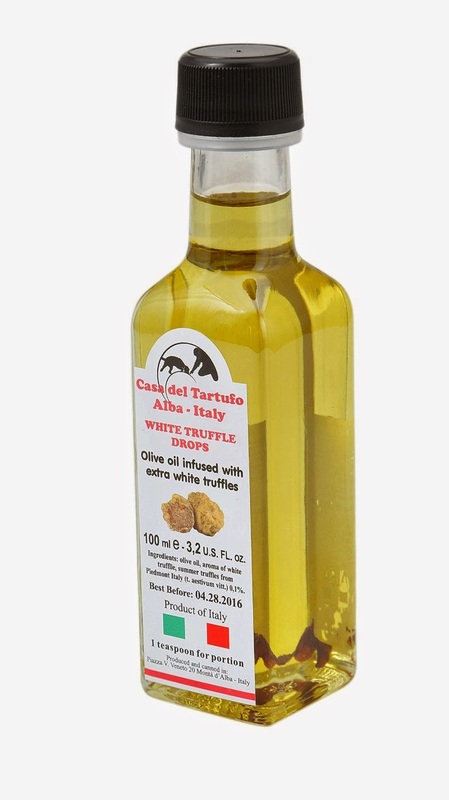 Truffle oils are generally not used in cooking, as the heat adulterates their flavors. Either white or black truffle oil may be used in any dish, but the only difference is how you use the truffle oil. Truffle oil is more of a flavoring or seasoning enhancer that gives a burst of flavor and should only be used lightly on your foods or dishes. The best use for truffle oil is summed up in one word, "drizzle" over foods. Experiment by adding a little truffle oil to some of your favorite dishes. Most unrefined oils (oils obtained from cold pressing, mechanical methods) will keep for 3 to 6 months if properly stored in a cool dark location. The refrigerator is the best place to store unrefined oils.